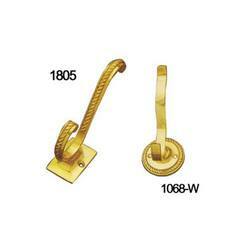 Brass coat hooks are fabricated using best grades of brass and other raw material. 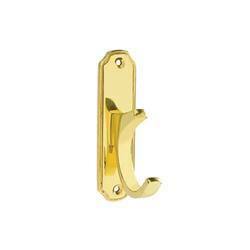 These brass coat hooks are stringently tested for precision, durability, quality and flawlessness. Our team of quality controllers ensures the best assortment is delivered to the market and offers maximum benefit to the end users. We provide high quality rkv62 curtain tie back 2", 3"
SIZE : 4", 6", 8"